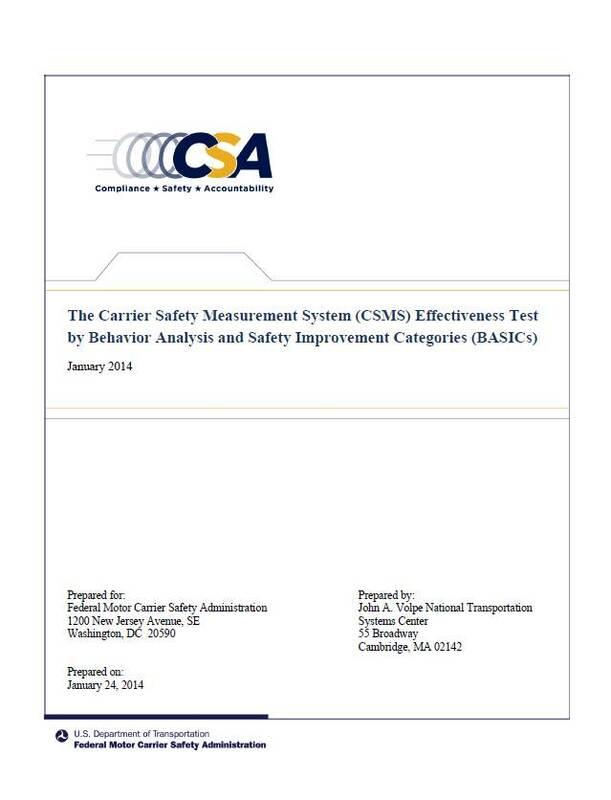 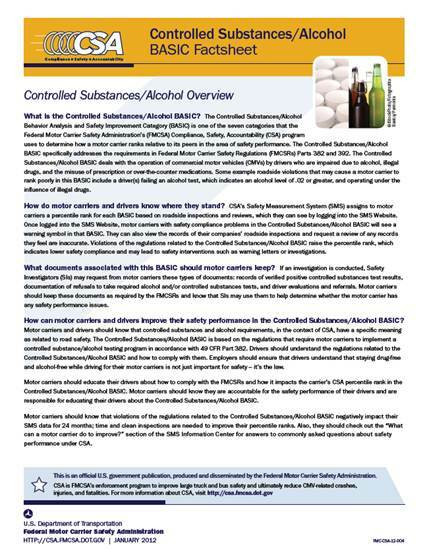 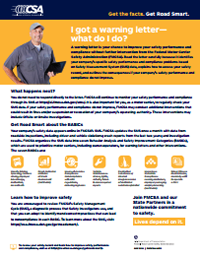 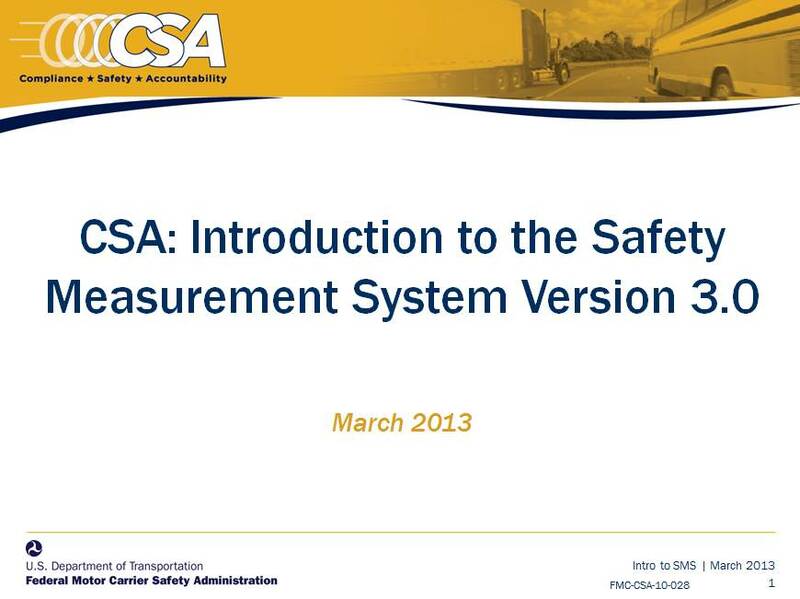 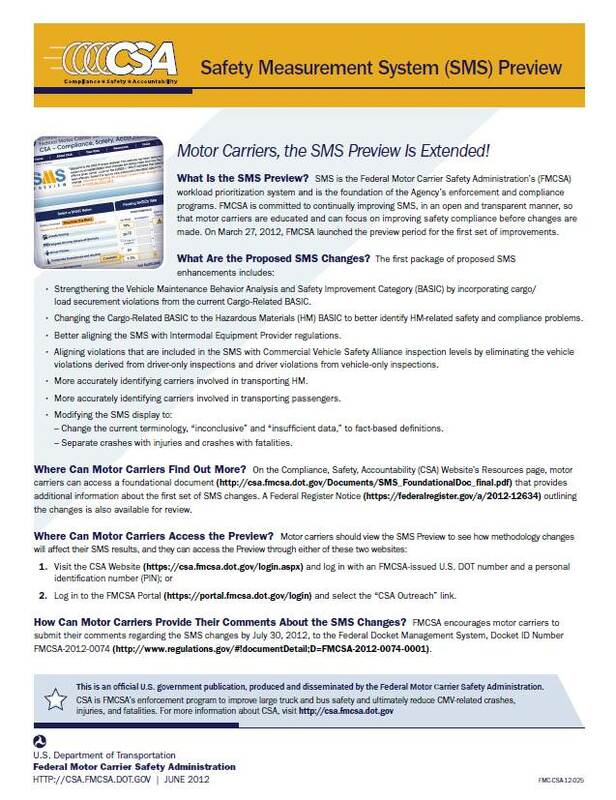 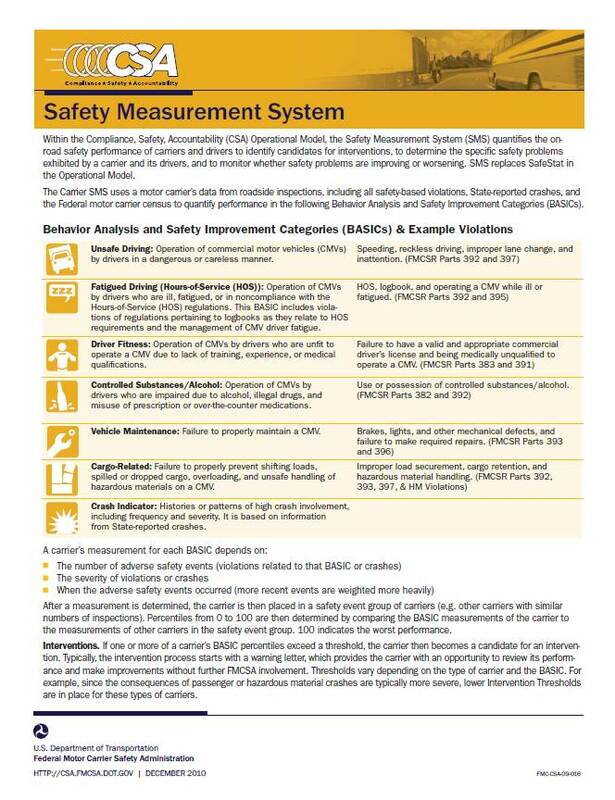 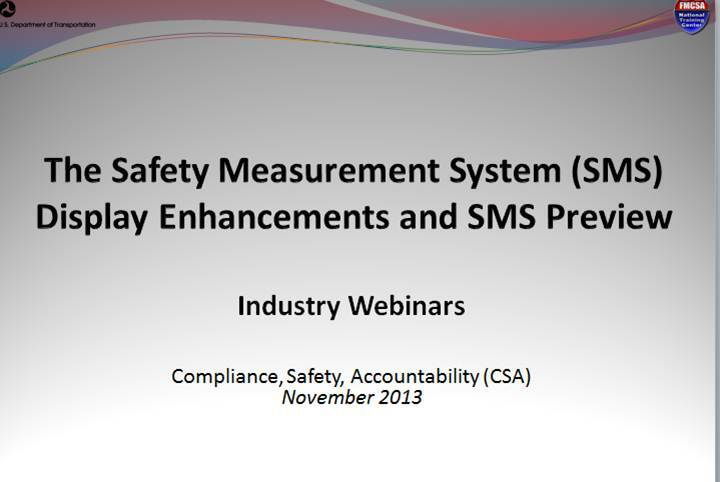 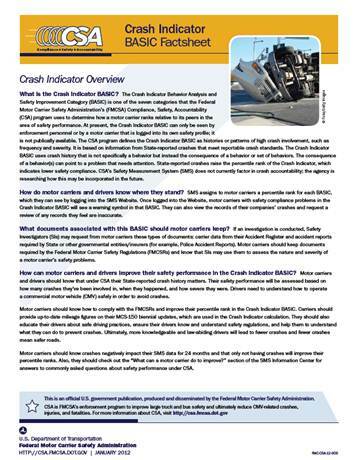 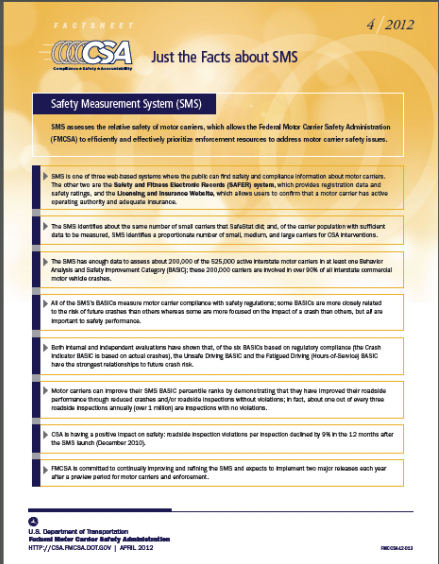 Download (PDF, 80 KB) Safety Measurement System Factsheet This one-page PDF gives a high-level outline of the new SMS, including an excellent description of each of the seven BASICs. 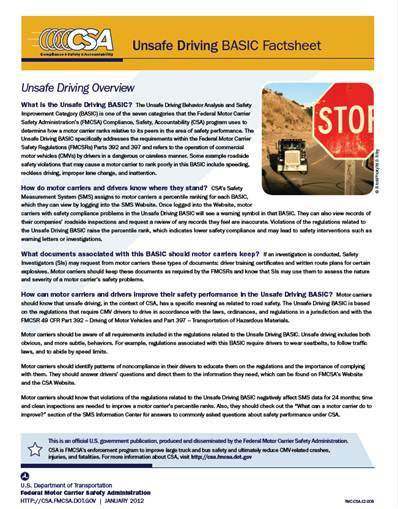 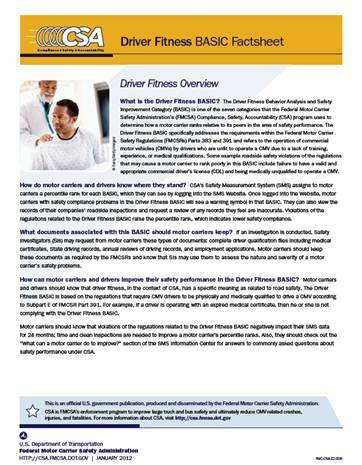 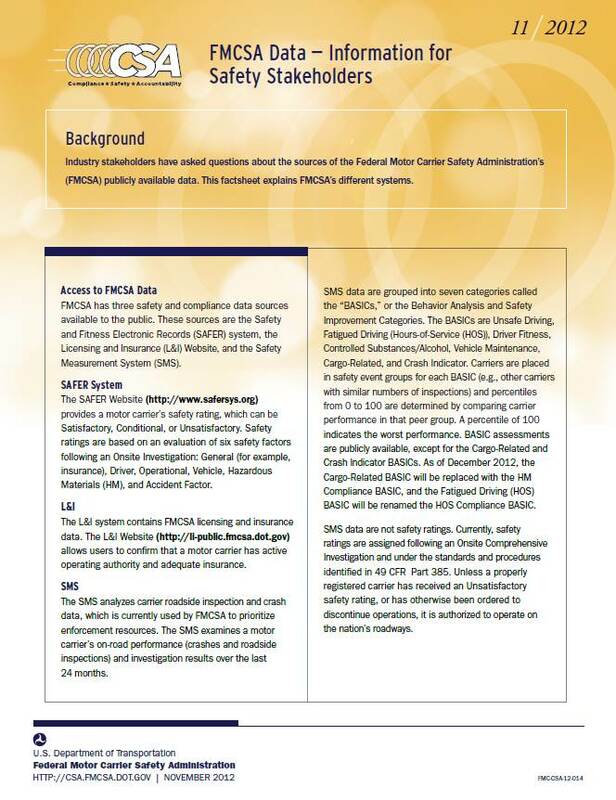 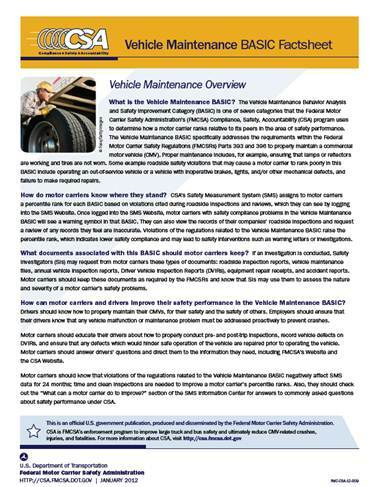 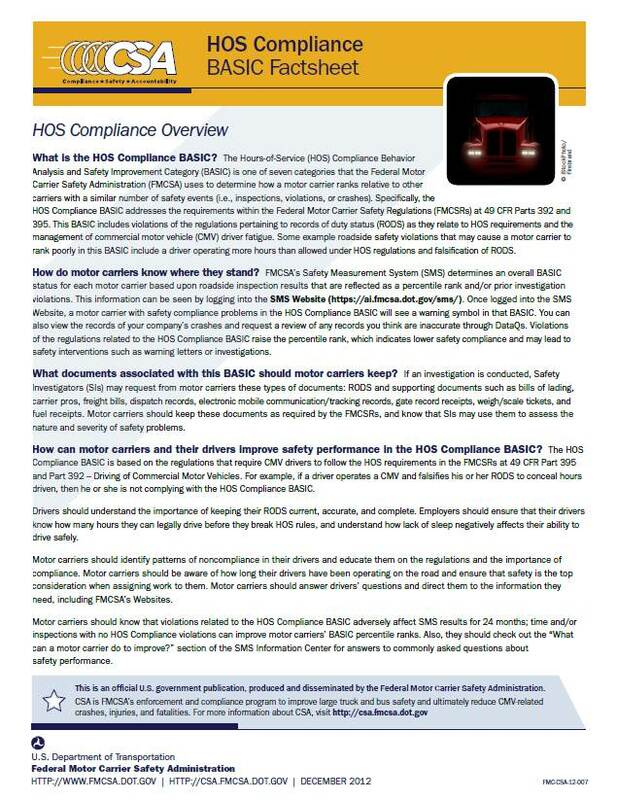 Download (PDF, 94 KB) Driver Safety Enforcement: What Motor Carriers Need to Know What motor carriers need to know about driver safety enforcement. 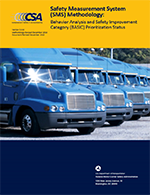 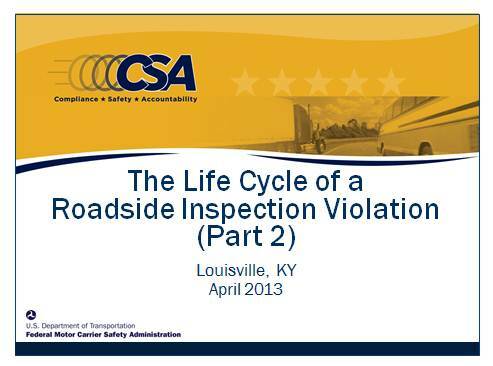 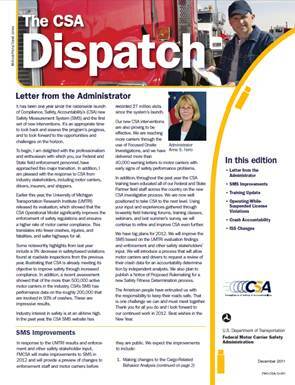 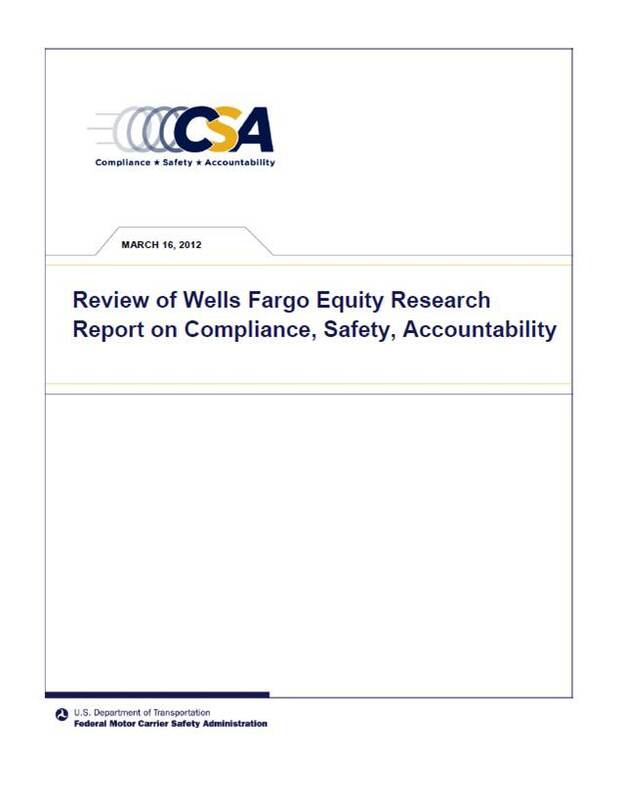 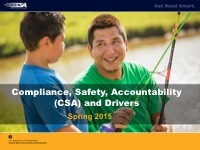 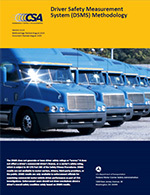 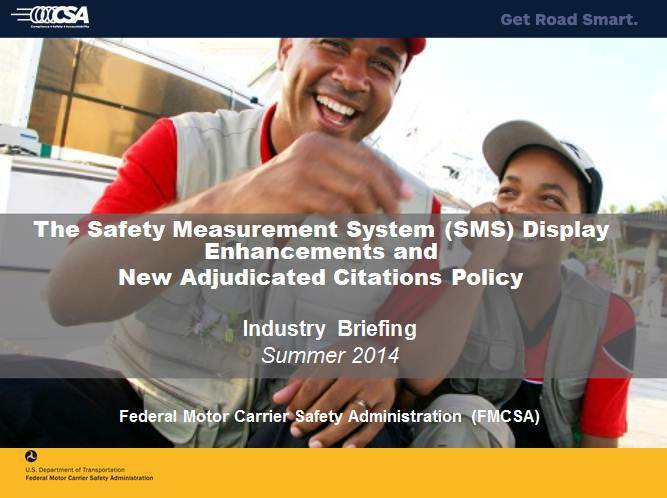 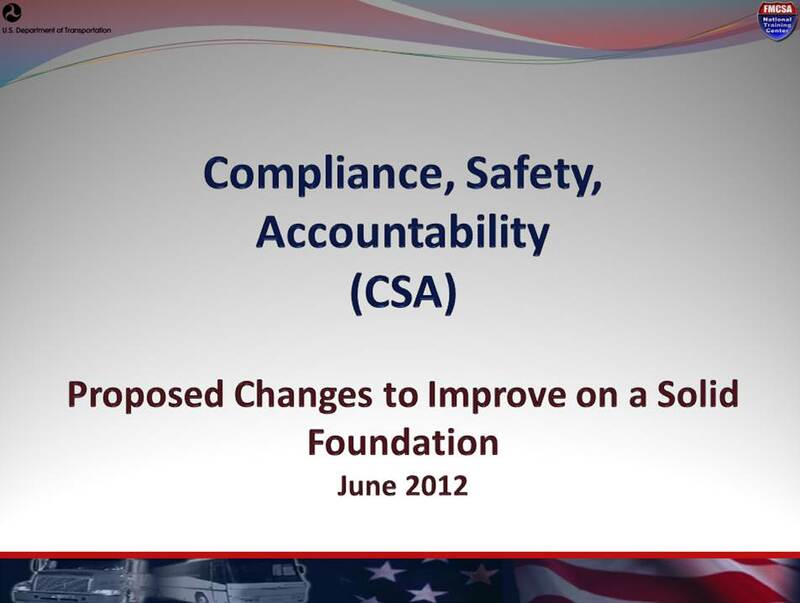 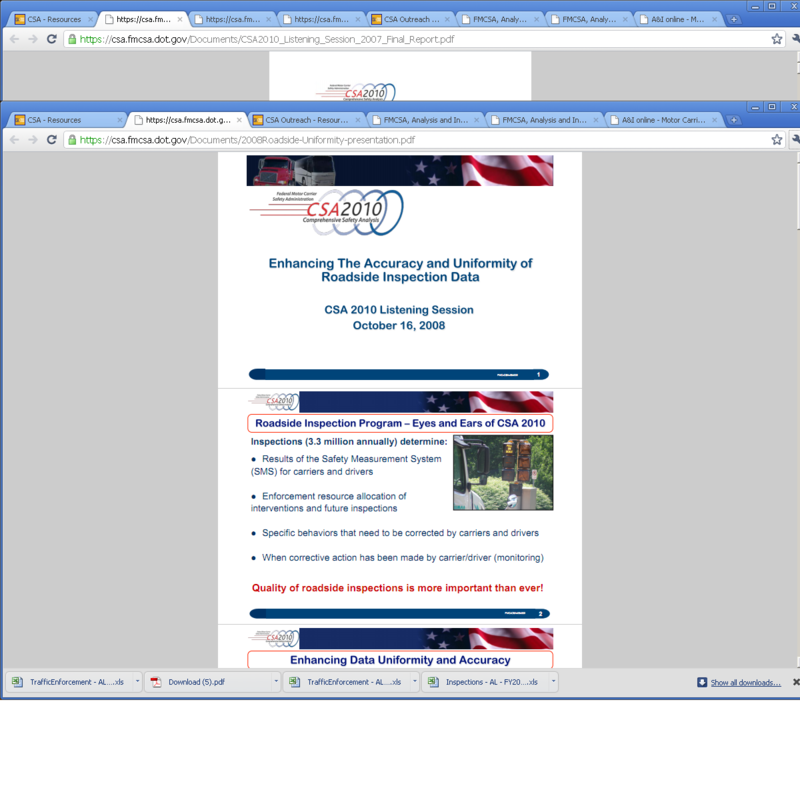 Download (PDF, 214 KB) Response to ATA's Top Concerns FMCSA Administrator Anne Ferro’s April 16, 2010 response to the American Trucking Associations’ (ATA) top concerns regarding the CSA program. 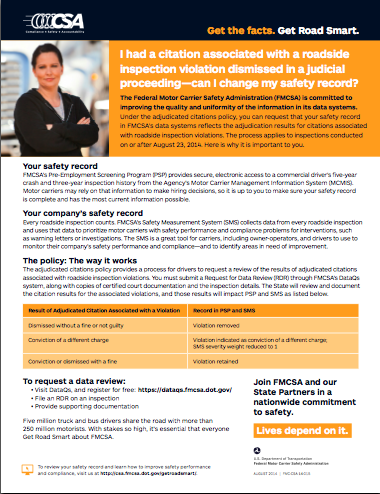 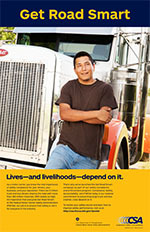 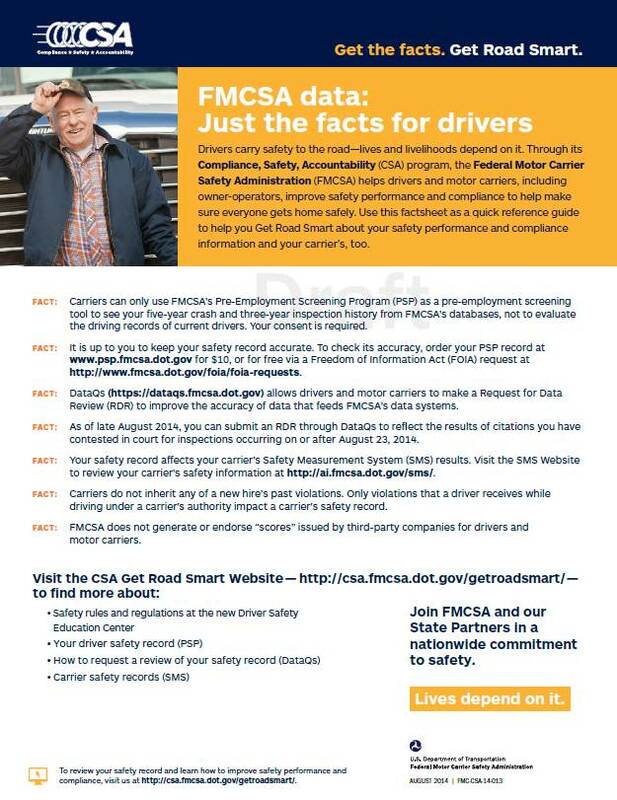 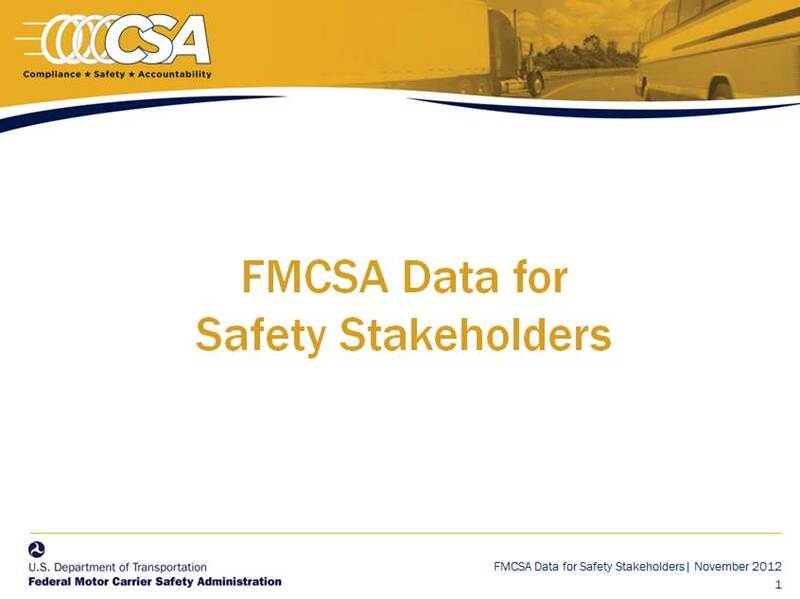 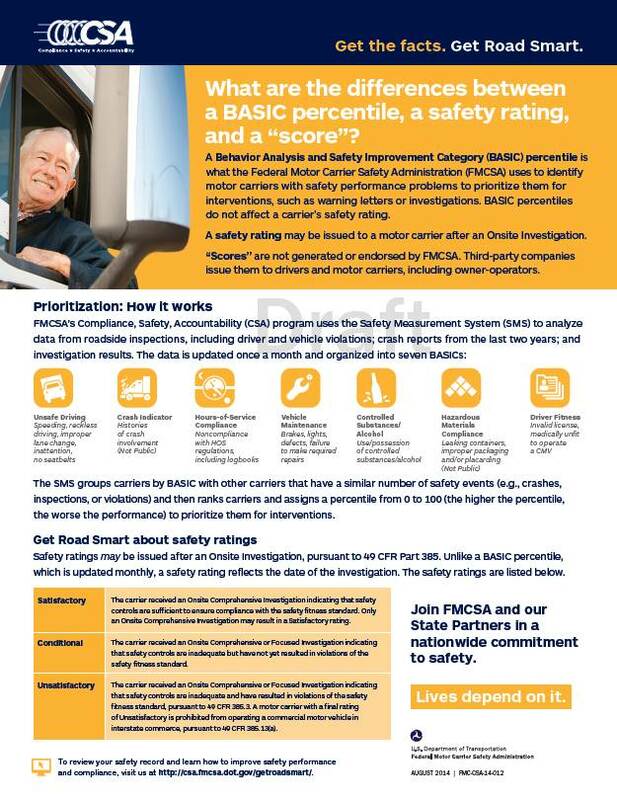 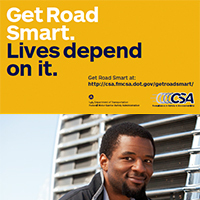 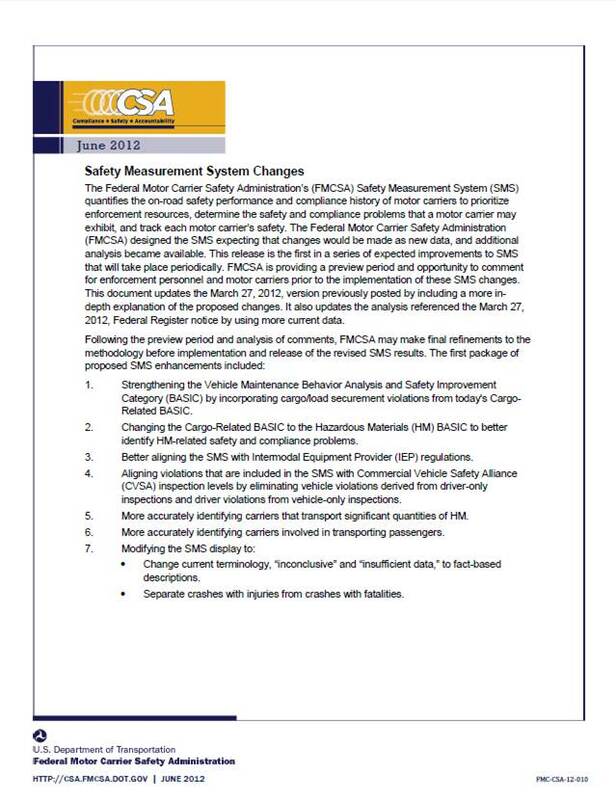 Download (PDF, 676 KB) Response to the MTA's Top Concerns Read FMCSA Administrator Anne Ferro’s June 8, 2010 response to the Minnesota Trucking Association’s (MTA) top concerns regarding the CSA program. 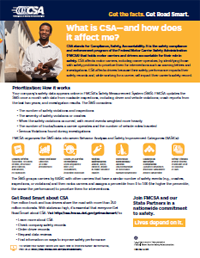 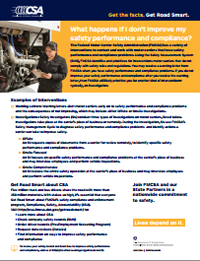 Download (PDF, 225 KB) Industry Office Poster High-level overview of CSA on a one-page poster.